Did you know that Facebook's number one revenue source is from advertising? Companies spend millions of dollars to imprint, create, and retain a perception of their particular brand in the eyes and minds of the consuming public. Advertising is therefore an important aspect of equine events, and can be a valuable source of financial income for the organizations planning and running the events. One story that has been in the news lately is the video of a top Tennessee Walking Horse (TWH) trainer abusing and watching his grooms abuse a show horse by hitting it with wooden sticks and zapping it with a cattle prod to attain the desirable high-stepping gait. Absolutely horrid; I can't even bring myself to watch the full video or embed it here. In response, Pepsi drops its sponsorship/ advertising at the TWH Championships/ Celebration (read the article here. Warning: also includes the video); that loss of financial income will likely be of great financial detriment to the show. Corporate Sponsorship of an event is a means for a company to enhance its local and national (and perhaps global) recognition, enhance goodwill, and showcase products. A sponsor will enter into contract with the event to establish the sponsorship rights, such as how much the sponsor must pay, a license for the event to use the sponsor's trademark, and-- important to the TWH/ Pepsi agreement-- a termination clause. If you are an equine sponsor it is important to consider a termination clause that provides the grounds for your right to terminate the contract, or for liquidated damages (definition here) in the event of termination. On one hand, Pepsi should be applauded for taking a strong stance against animal abuse. On the other hand, should Pepsi be punishing all the competitors for the acts of the few? We all appreciate Memorial Day for the short work week, and because for many of us it is the inaugural weekend to break out the BBQ and swimsuits. Let's also take a moment to reflect upon and thank our service-members. Punitive Articles of UCMJ, Article 121: Explanation. (1) Larceny: (b) Taking, obtaining, or withholding. There must be a taking, obtaining, or withholding of the property by the thief. For instance, here is no taking if the property is connected to a building by a chain and the property has not been disconnected from the building; property is not “obtained” by merely acquiring title thereto without exercising some possessory control over it. As a general rule, however, any movement of the property or any exercise of dominion over it is sufficient if accompanied by the requisite intent. Thus, if an accused enticed another’s horse into the accused’s stable without touching the animal, or procured a railroad company to deliver another’s trunk by changing the check on it, or obtained the delivery of another’s goods to a person or place designated by the accused, or had the funds of another transferred to the accused’s bank account, the accused is guilty of larceny if the other elements of the offense have been proved. "It may not be widely known, but Polo’s earliest origins are tied to Army and Calvary units around the world. The United States Army had practiced this tradition for many decades and has a rich history of Army polo here in the islands. Most notably, General Patton played polo here in Hawaii at Kapiolani Park during his time commanding Army Forces in the Pacific. Today, India’s 61st Calvary Units are still fighting on horseback in the mountainous regions of Afghanistan and Pakistan." 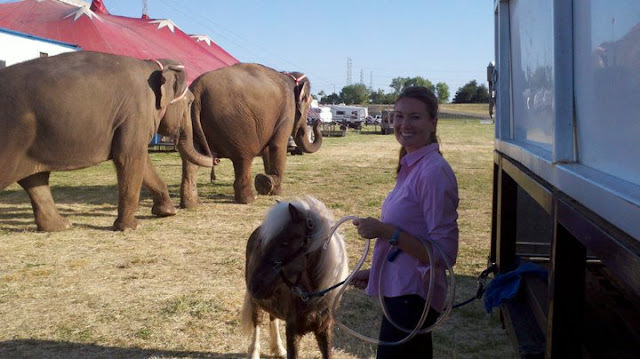 I know this was a slightly unconventional week on the blog, but I hope it was interesting and informative to learn how the military operates legally, and how horses are an integral part of military divisions and members' lives! My dear readers, guys and gals, cowboys, and dressage queens- I am so excited about today's post! 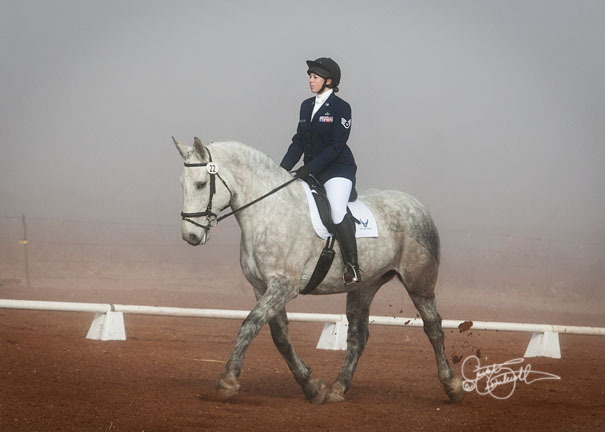 We are so fortunate to have a personal look into the life of an Air Force JAG paralegal and her amazing jumping Percheron mare, Klein. Without further ado, please warmly welcome Stacey from The Jumping Percheron. In eight days I will hit my six year anniversary with the United States Air Force. I've been all over the world and have been assigned to three different bases in those six years, and my horse has been there for the entire adventure. It is very possible to be an active competitor or a rider that just enjoys trail rides with friends. The key to success with horse ownership while on active duty is planning. In the military you will repeatedly hear "HAVE A PLAN." It is applied to everything from going out drinking with your friends on the weekends to babysitters. Everyone knows your life can unexpectedly do a 180 at anytime while you are in the military. You are told that upfront from day zero. If you stay one step ahead at all times you will be just fine! Does the Air Force pay to ship your horse?? No, the Air Force, or any other military branch for that matter will NOT pay any part of the cost to ship your horse when you PCS (Permanent Change of Station, aka move to a new base). The shipping is a tax write off, but that is unfortunately it. So far I have paid over $11,000 to ship my mare around in the past 6 years. What if you go overseas? My horse has already been to Hawaii and back with me. A friend of mine shipped hers back with her from Italy. Another boarder I knew in Hawaii flew her horse in with her from England. How do they travel overseas? First, for the military Hawaii is considered an overseas location. Would you prefer one method over the other? No. My mare came to Hawaii on the ship and did really well. The staff was great and the trip went smoothly. I had no reason not to send her back to the mainland on the ship. I have had a couple friends that flew their horses with Pacific Airlift and had smooth trips as well. It can also depend on your schedule. I had originally planned to fly my mare back to the mainland because the flight was going to leave sooner than the next ship. However, that changed at the last minute and I found out the ship would have the container on it sooner than the flight. I didn't want to wait. What if you are going somewhere else overseas, to another country? What about if you travel stateside? Yet another huge reason to always have a plan! In the military, people with children are required to have a "Dependent Care Plan." It is a mapped out plan of who will take care of your children when you deploy, regardless if you are married or single. Everyone with children will have to have one. Even though it is not a requirement to have that plan with your animals, it's a very smart move to make one of your own. I always have a very trusted friend to "ponysit" for me. I also always just let my mare go on vacation while I am gone because she is in regular work and deserves a nice break. I have friends that have sent their horses to a trainer to keep them in training while they are away. Just make SURE you KNOW the place well! Know the people! Don't just randomly Google a farm and decide from pictures on the internet or a one time tour around a farm that it's the place to stash your horse while you are gone for 6 months. I always know exactly where my mare will go no matter if I have to go for training somewhere for just a week or if it's a full 6 month deployment. One last thing I'd like to add to this point is to keep your horse in mind when your legally prepare for a deployment. Meaning preparing your will and any power of attorneys you may need for vet care or similiar needs. 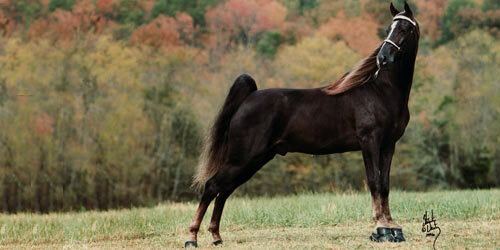 You can absolutely include your horse in your will as far as who he or she may go to in case anything happens to you. 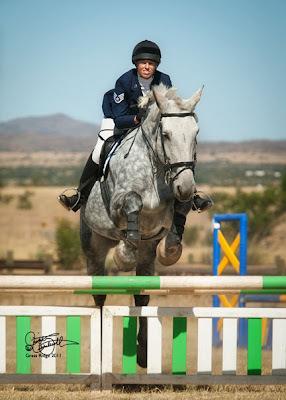 There is also the option of making an amount from your SGLI (military life insureance) payable to the responsible individual or create a trust fund for the horse. If anything were to ever happen to me I do not want my friends and family scratching their heads over who would take my mare or how they would pay for it. That can all be outlined in your will. Are there barns on every base? No. Some bases have barns, but most do not. Barns can mostly be found at Air Force and Army bases. Be advised that pretty much every single DoD barn is SELF CARE! That means you feed and clean twice a day. You supply your own feed as well. Yes, DoD barns are cheap because you have to be a military ID card holder to board at one and that is one of the privileges we have. But also beware that some barns are nicer than others! Local barns may have more of what you are looking for in a barn than a DoD barn or vice versa, it all can vary. Unlike many other things in the military there is no formal, standardized instruction for barns. Another fact to keep in mind is that slowly they are being closed down one by one. So if you DO board at one, always have a back up barn in case the end comes for your DoD barn. Yes, but as mentioned before, they are totally self care. Another thing to keep in mind is local resources. Yes, DoD barn board may be what seems to be ridiculously cheap, until you end up in a place like Hawaii where hay is now $40/bale. It was $28/bale while I was there from 2006-2010. Everything else in the tack store is marked up as well. Supplies are limited, and hard to find. Plan on paying A LOT in shipping because you will repeatedly have to order. I should be sponsored by SmartPak because they were my main supply while I was in Hawaii. Make sure you do your research before you make your dream sheet if you are that serious about taking your horse with you. Check out the local area and see what kind of barns it has to offer, what the local show scene looks like, etc... I know all my options and availabilities before make any changes or updates to my dream sheet (base preference list). How do you have time to ride as much as you do? I make time. But to be fair, I don't have any children either. 98% of the time that an active duty military member doesn't have time for something, it is not because of their work. There may be some jobs with unique situations that can take up extra time (or have a lot of TDYs) but for the majority of us, we only see long days when exercises are going on or in my case a court martial is going on. What civilian job doesn't have those types of days? Throughout my military career I have been able to show pretty much as much as I want. I attended local shows in Hawaii but have evented since moving to New Mexico. I have been able to compete once a month at recognized horse trials (along with numerous local shows) and we are even qualified for the Area Eventing Championships this year. Honestly, there is no way to tell. Even if you think you know, you really don't. I am a great example. I PCS'd from Hickam AFB in Hawaii to Holloman AFB in New Mexico in the summer of 2010. I was SUPPOSED to have four years time on station (stay there for atleast four years). That was 22 months ago. I just arrived in Valdosta, GA last Sunday. I have already PCS'd to Moody AFB. Things happen. There are numerous possibilities of why you may be moving a lot sooner than you though. That's why again, ALWAYS have a PLAN! Have a bank account set aside for your horse's travel if you don't already have an account for their vet care, emergency funds, etc... I always have shipping money in a bank account for my mare. The same can happen with deployments. Your tempo band (your window for possible deployment) may come up in the rotation, you may not be selected for deployment this time around, so you thought. I have seen this happen a few times. An individual will have a medical issue, a family emergency, or fail their physical fitness test and at the last minute become unqualified to deploy. What happens next is the unit will go looking for someone else in that tempo band. It COULD be you! It also could be the day before the other individual was set to deploy, this means you will be spun up and out the door within a day or so as well. Sometimes maybe you'll have a week notice, but sometimes not. See why having a plan is a reoccurring theme here? I know at all times which trusted friend would be available to "ponysit" for me. Planning and organization can make a world of difference when it comes to owning horses while serving in the military. I am very thankful for the many adventures the Air Force has already taken my mare and I on. From galloping down some of the most famous beaches in Hawaii and riding through the dunes of White Sands National Monument to eventing in New Mexico, Arizona, Colorado and now Georgia and Florida. We have enjoyed every new adventure and are looking forward to the ones that await us in the future! How awesome are Stacey and Klein Mare!? Did you learn anything new, or do you have any other questions? Thank you so very much for sharing your Air Force-Equestrian life with us! 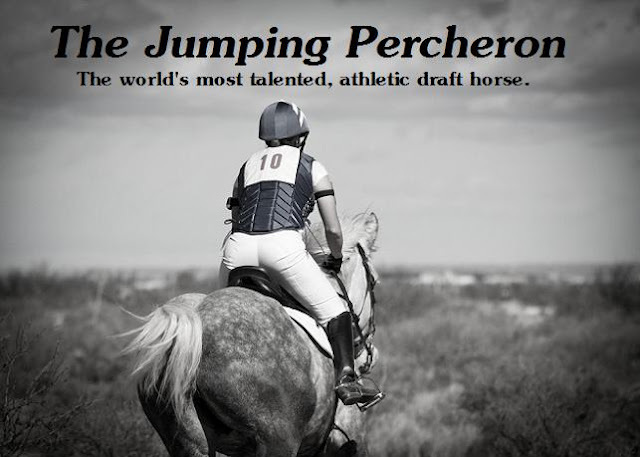 You can find more about their adventures at her blog, The Jumping Percheron. The Love/ Hate relationship with Social Media: Sharing our lives and lawsuits with "friends"
After a lawsuit was filed against one of our clients, both parties (plaintiff and defendant) submitted Discovery Requests to opposing counsel. If any of you have been through a lawsuit before, you know that "discovery" allows you to ask the other party for all documents related to the conflict at issue, unless subject to a privilege (like the attorney-client privilege, marital privilege, or other). Typically it is burdensome, tiresome, and expensive: documents include all contracts, letters, emails, and now, Facebook wall postings- even if you have deleted the posts! (This is an area of newer law, based in part on Crispin v. Christian Audigier Inc., 2010 U.S. Dist. Lexis 52832 (C.D. Cal. May 26, 2010), so the complete legal ramifications are unclear). In one New York case, a plaintiff was suing for pain and suffering, including "loss of enjoyment of life;" opposing counsel was granted discovery to the plaintiff's "current and historical" facebook postings, which included pictures of the plaintiff traveling and doing activities that she claimed she was permanently no longer able to do. Whoops, caught red handed! If you are claiming you or your horse now has permanent injuries due to the actions of another, be sure first of all that you are being truthful, and secondly, don't post videos or photos that would be contrary to your claims. Additionally, if you are having problems with your trainer, another trainer, the person you bought your horse from, a co-owner of your horse, your barn manager, etc., keep it off the Internet! Facebook and blogs make it so easy to instantly sound-off on your anger or frustration. The ease of instant publication often doesn't provide enough time to think through what we are writing or saying, but the consequences of hasty posting can be enormous. 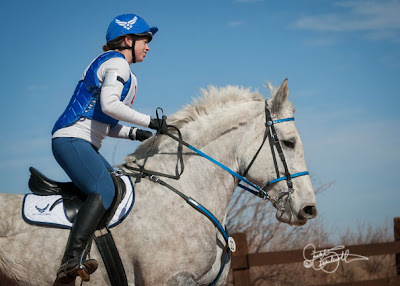 I encourage you to have a policy with yourself and your trainer and/or riding friends to exercise great restraint in what equine postings, wall comments, photos, or messages you publish on Facebook. Many statutes of limitations are 2 years: you never know when that negative comment about your trainer may come back in the form of a defamation/ libel lawsuit one day. Have you ever seen someone's negative posting and cringed? I have seen negative postings about trainers, horse sellers, and show management (and have looked at the public content of parties in a lawsuit); keep your privacy settings tight and your postings neutral! Today I was so fortunate to attend the Kentucky swearing-in ceremony; it was touching and humbling. Just less than 150 attendees filed into the grandiose Capitol Building in Frankfort, Kentucky. The building is an impressive facade and an even more beautiful marble interior. We were seated in the House of Representatives Room with the Supreme Court formally in session. The installation of new attorneys was presided over by Chief Justice Minton, Jr., with the entire bench of Justices in attendance. It was also so incredible to have the Kentucky Governor Steve Beshear address us. The Secretary of State of Kentucky Alison Lundergan Grimes was also in attendance, and the Honorable Sue Bell Cob, Former Chief Justice of the Alabama Supreme Court delivered a heartfelt address. The underlying theme of all speakers was the importance that we retain funding for our courts in this difficult economic recession. Today was fittingly the United State's annual Law Day, with the theme: "No Courts, No Justice, No Freedom." you can read more about Law Day 2012 here. I am grateful to Kentucky for such a touching and impressive ceremony. After we new Kentucky attorneys affirmed our Constitutional oath, the Governor, Justices, and other honored guests stood, turned to us, and applauded our accomplishment and admission. I want to share our Kentucky Constitutional oath, with special note that the "dueling" aspect was certainly not part of California's oath! "I do solemnly swear (or affirm, as the case may be) that I will support the Constitution of the United States and the Constitution of this Commonwealth, and be faithful and true to the Commonwealth of Kentucky so long as I continue a citizen thereof, and that I will faithfully execute, to the best of my ability, the office of attorney according to law; and I do further solemnly swear (or affirm) that since the adoption of the present Constitution, I, being a citizen of this State, have not fought a duel with deadly weapons within this State nor out of it, nor have I sent or accepted a challenge to fight a duel with deadly weapons, nor have I acted as second in carrying a challenge, nor aided or assisted any person thus offending, so help me God." To see the rest of my photos from the swearing-in and my time in Lexington, you can find them on my facebook page.